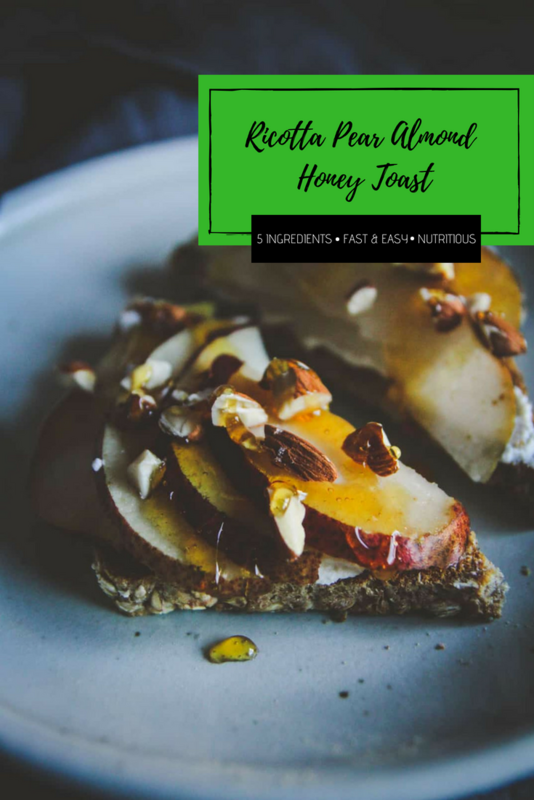 Sometimes you just need a simple and delicious breakfast, and I’m here to share a recent favorite of mine: ricotta pear almond honey toast! 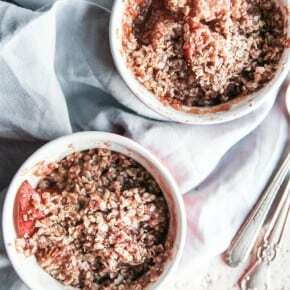 And…I don’t know if you can tell from the title, but this is a super easy 5 ingredient recipe to get your day started! 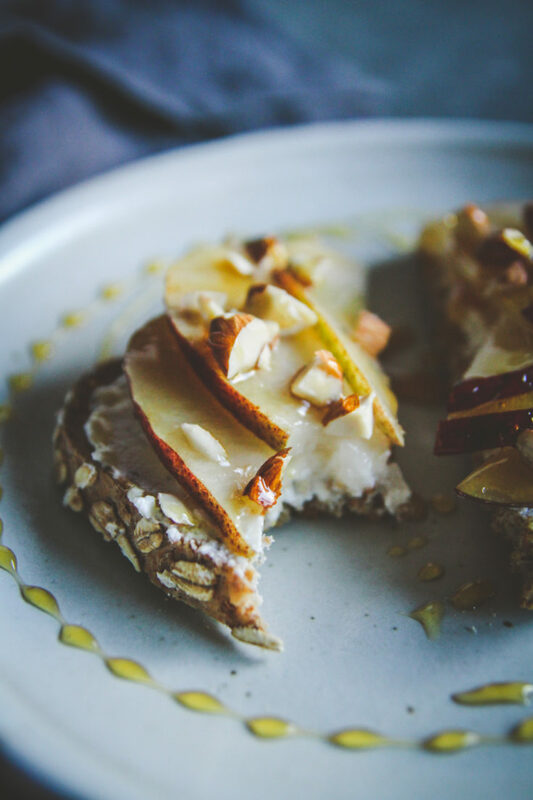 The 5 ingredients are ricotta, pear, almonds, honey and toast (bread). 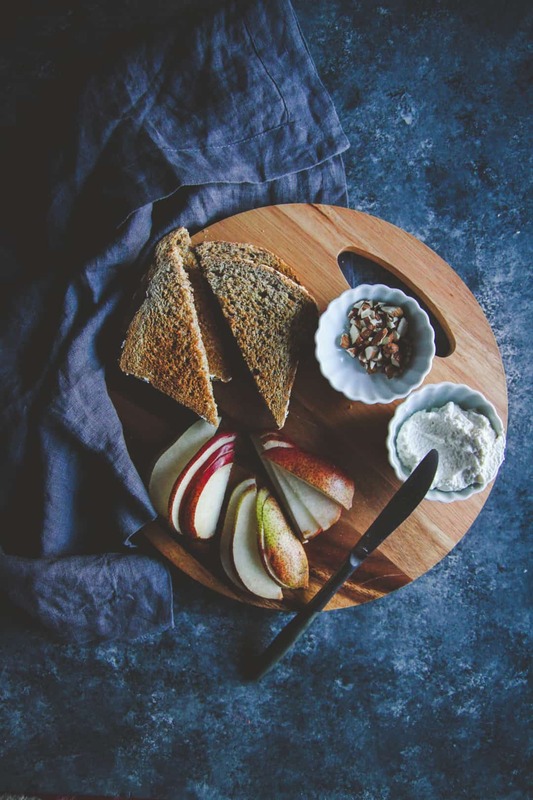 These simple ingredients combine together to make a super tasty (and nutritious) breakfast that is going to start your morning off right. 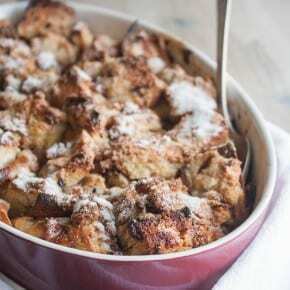 And because it’s only 5 ingredients, it’s perfect for this week’ 5 ingredient Friday recipe! So I’d love to know any tips and tricks you might have for getting out the door in the morning. 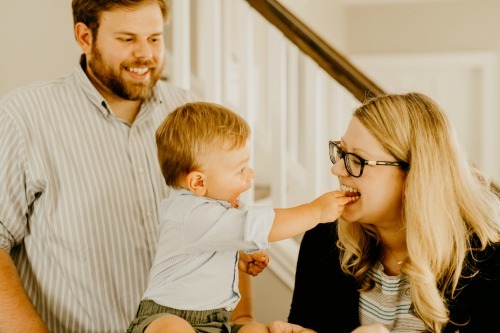 With a baby, it’s especially challenging, because he’s so darn cute that I just want to snuggle with him for every last second that I can. I successfully made this toast while holding Ben on my hip, so I just had to share it! In no time he’ll be having this toast with me. Don’t tell the baby police, but he smacked his little hand into toast when I was spreading the ricotta on, so he had a lick of ricotta cheese and loved it! 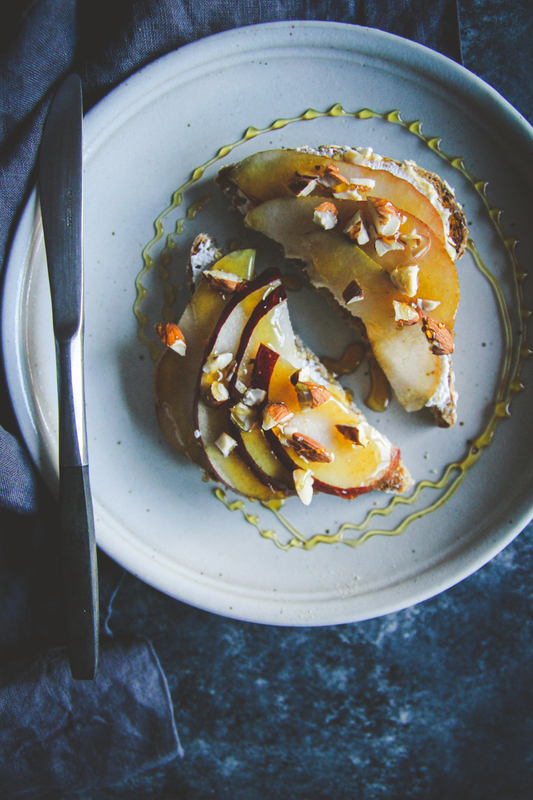 All you do to make this toast is warm your bread (I love a good crispy crunchy toast and use Eziekel sprouted grain brain), then spread ricotta on the toast, top with sliced pear and chopped almonds (or you could drizzle some almond butter on) and then drizzle honey on top, and voila, you have yourself ricotta pear almond honey toast! 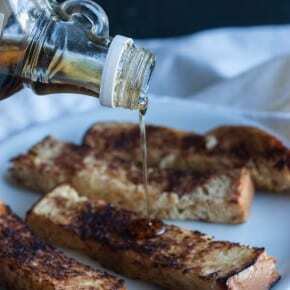 Spread each slice of toasted bread with 1 tablespoon ricotta each. 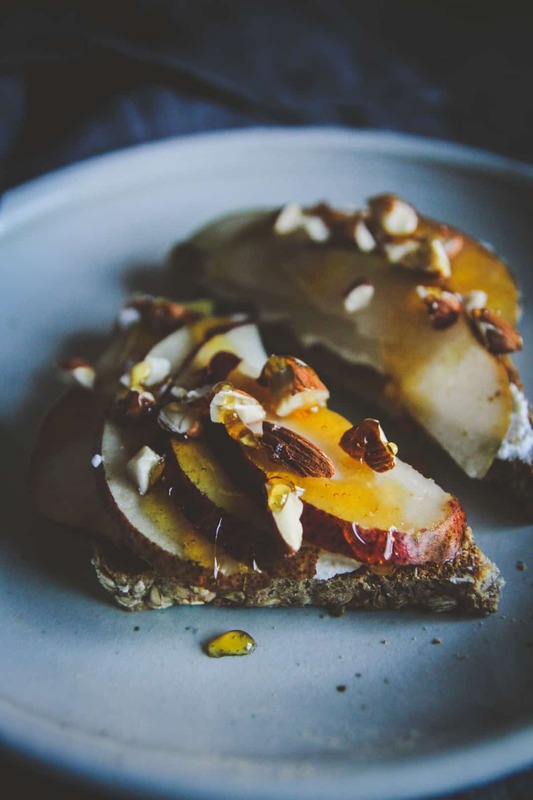 Then place half of a pear, sliced on each piece of toast, sprinkle almonds over the toasts and drizzle with honey. Thank you so much! I’m all about saving time these days – especially with a little one it’s tough to get time in for breakfast lol. 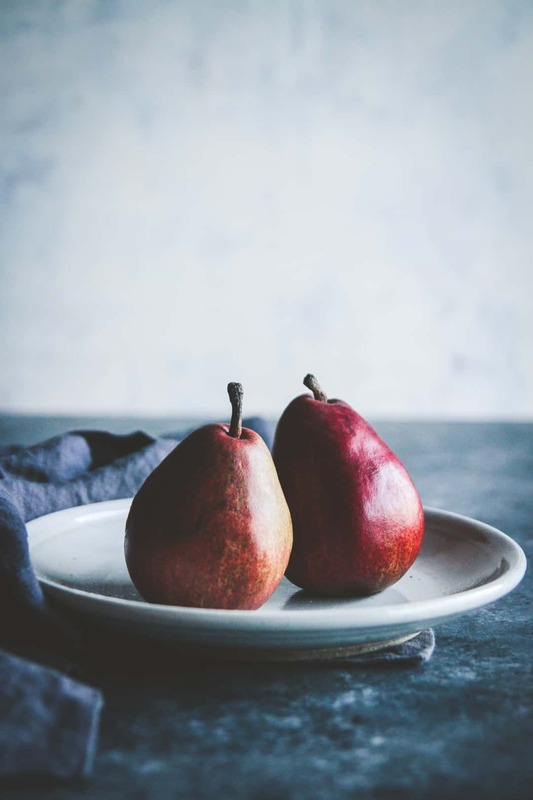 I’m 68 years young in heart and body, and I’m always looking for nutrition in my meals and ease. 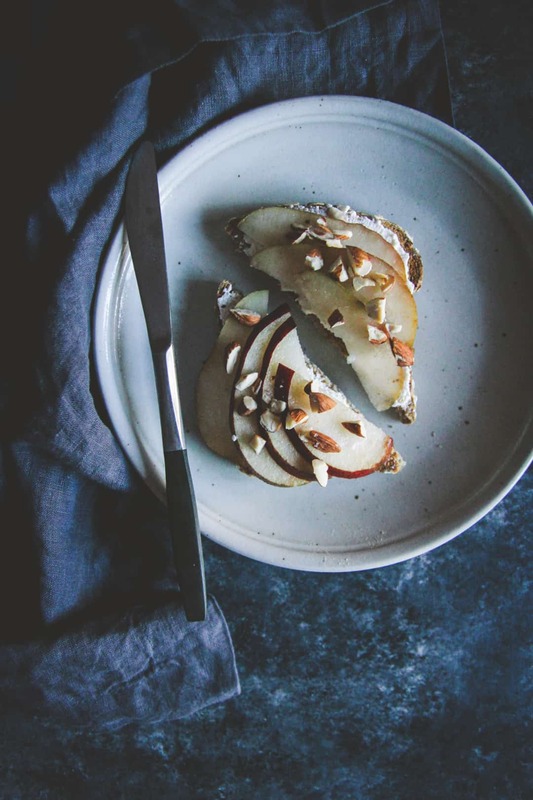 Love this one with the pears and toast it works perfect for me.